It’s been a while. So let’s get right down to catching up on the past year or so! 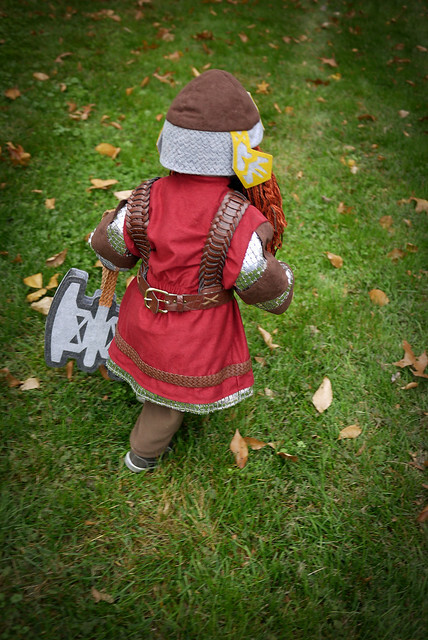 First up is the crown jewel of my projects for 2014: my son’s Halloween costume. He’ll soon be of an age where he’ll want to make his own costume choices, so until that point, I plan on having some fun. 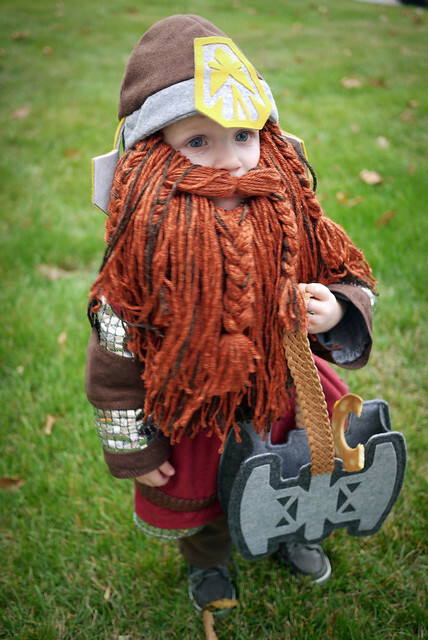 Say hello to Gimli from Lord of the Rings. 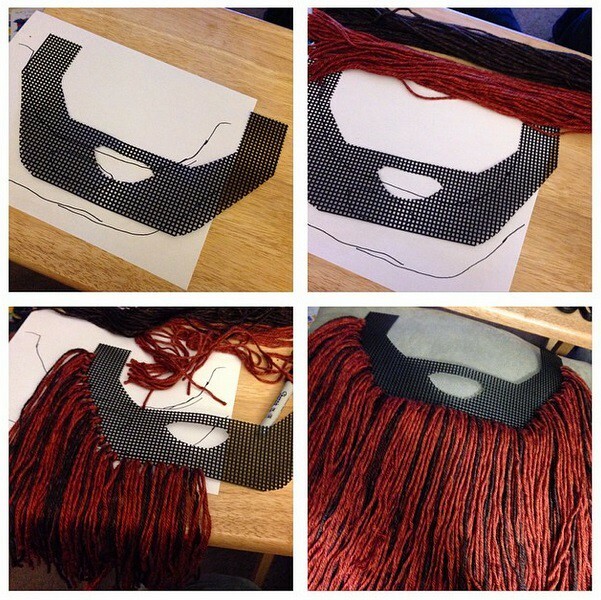 It all started with a toddler-sized beard… When approaching a crazy project, I try to tackle the part most likely to fail — and the facial hair was the make or break for this costume. 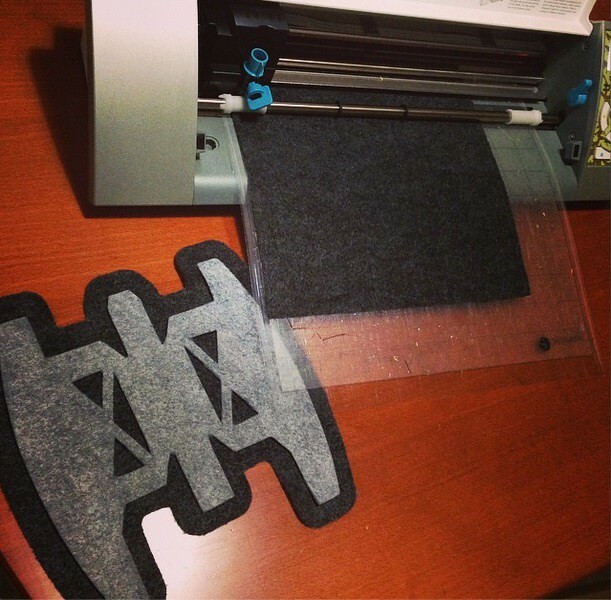 Fortunately I found a great tutorial — that I simply scaled down. I modified the finished beard to snap on to the helm with oversized snaps, as it was the part I figured he’d dislike the most. Spoiler alert — I was right. 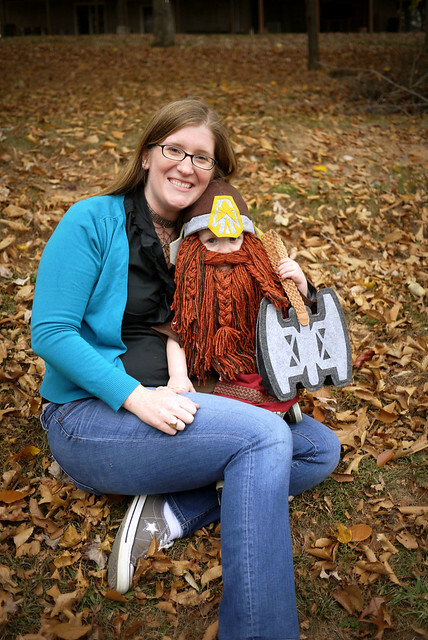 From there, it was on to Gimli’s helm. I made changes to this free fleece knight helmet pattern, by adding chain mail-ish stitching on the back, as well as a medallion and cheek straps cut out of felt with my Silhouette Cameo. The designs were freehanded, and based loosely off of movie screenshots. 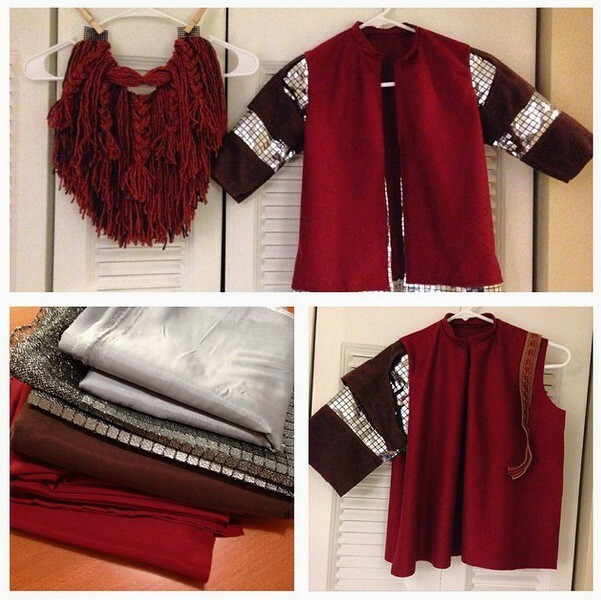 The tunic was based on Butterick 3244 — a simple fireman’s jacket. The sleeve pattern was chopped into a few pieces to get the look I was going for, and a faux chain mail underlayer was added. 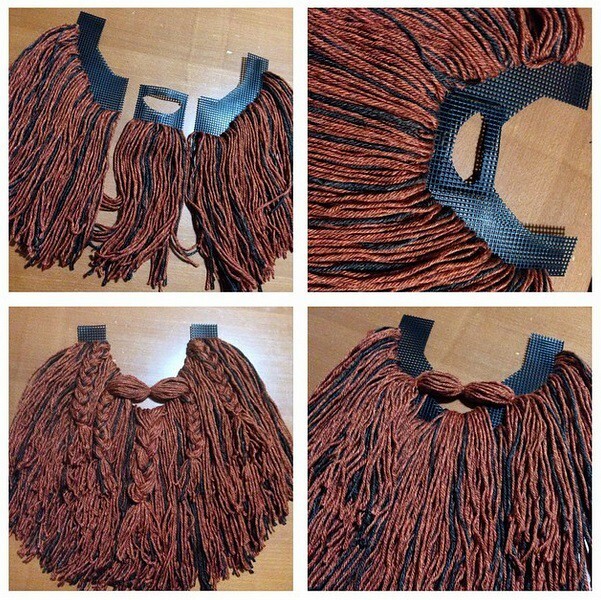 The bandolier/belt was made from a few chopped up belts I found at the thrift store. I glued them together with industrial adhesive, then drilled holes and laced with decorative leather cord for extra reinforcement. The treat bag is probably my favorite part. 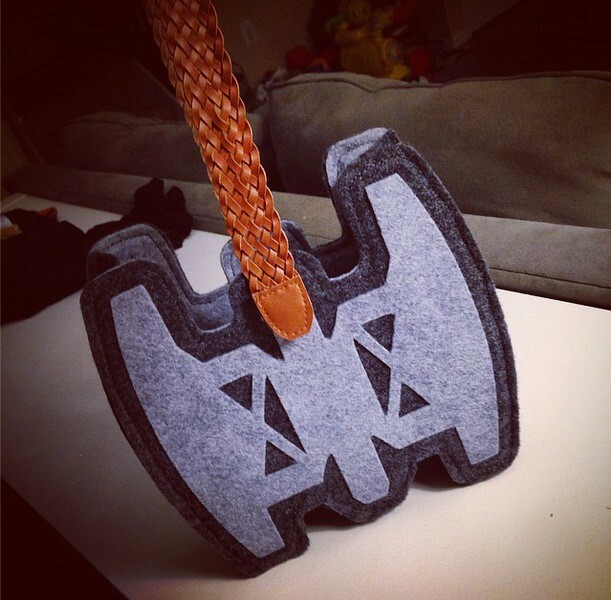 I traced a movie still of Gimli’s axe and cut it out of fusible web backed felt on my Silhouette. I created an offset around the original design and cut it out of another color of felt, then mounted the first on the second. 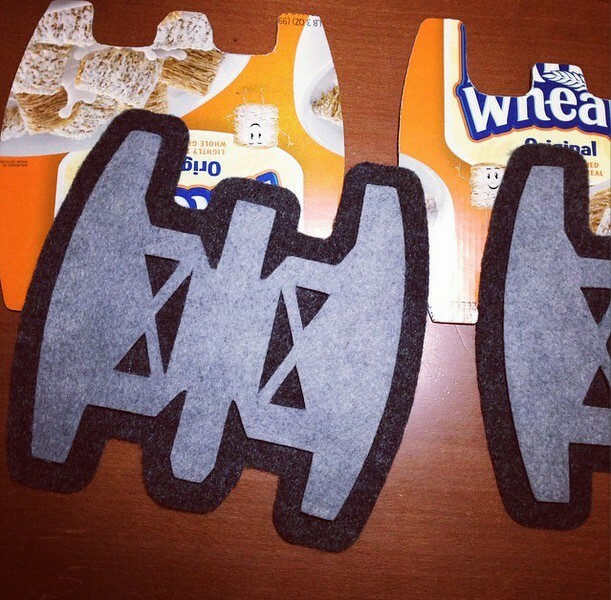 It was reinforced with cardboard from a cereal box. 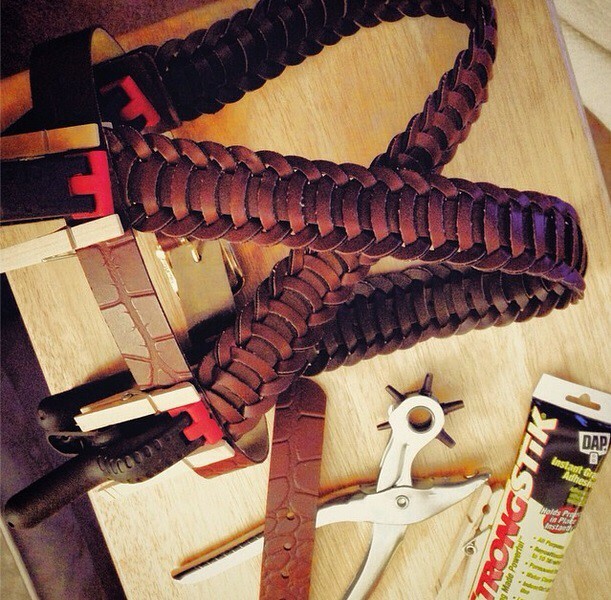 I used a strip of felt to gusset the front and back together, and another thrift store belt for the handle. 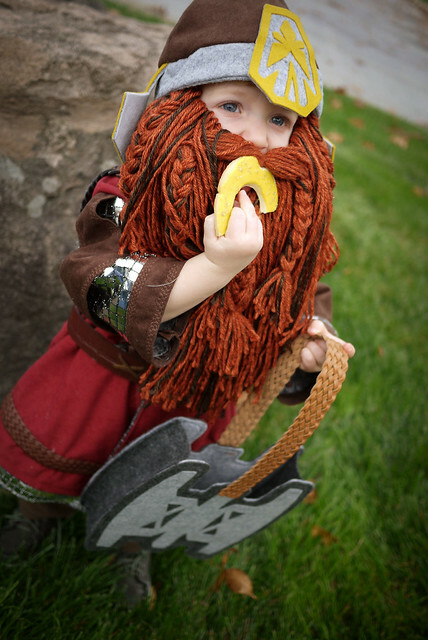 He was a very good sport about the whole thing, and even wore the beard long enough for us to get a few good shots of the costume all together. For trick or treating and his school’s Halloween parade, he went sans facial hair — a good choice for everyone involved. 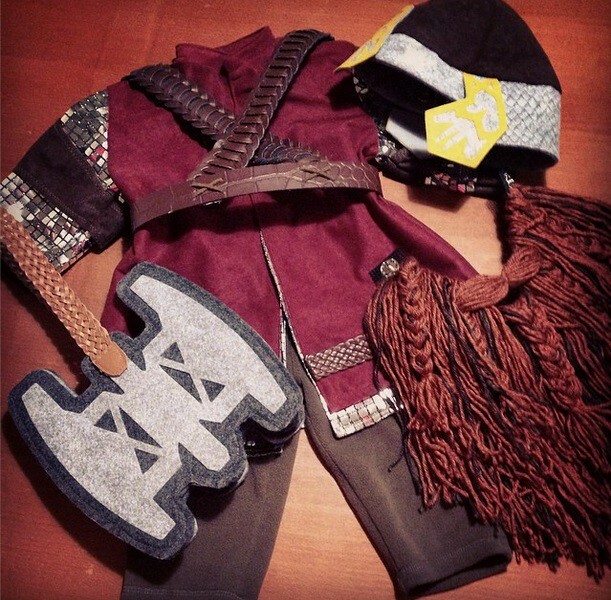 It was a great honor for this costume to be chosen as Craftster’s 2014 Costume Contest winner, as well as one of the Best of 2014 in the ‘Epic Challenge Winners of 2014’ category!